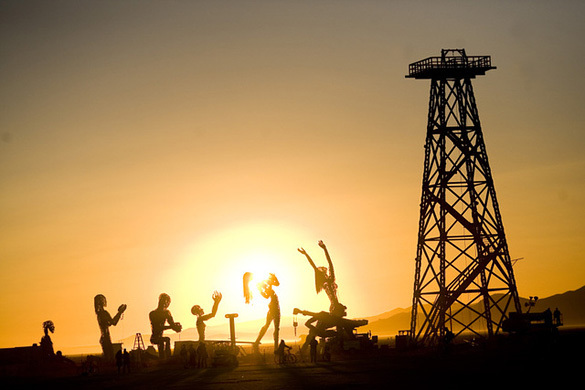 Next to a 99-foot-tall wooden oil derrick stands eight metal sculptured human figures, most of whose surfaces are made of connected metal rings. During its “burn”, four containers shot 900 gallons of jet fuel in the sky. Seconds later, 2,000 gallons of liquid propane shot out creating a 1,000-foot-high inferno of flame. The detonation of the piece created 2.4 gigawatts of energy.